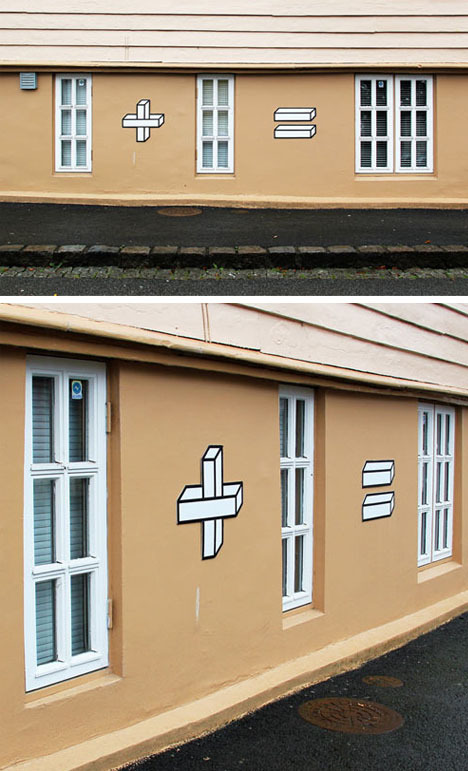 1 window plus 1 window equals 2 windows – seems obvious, but it warrants at least a double-take, so to speak, when you see it so explicitly expressed. 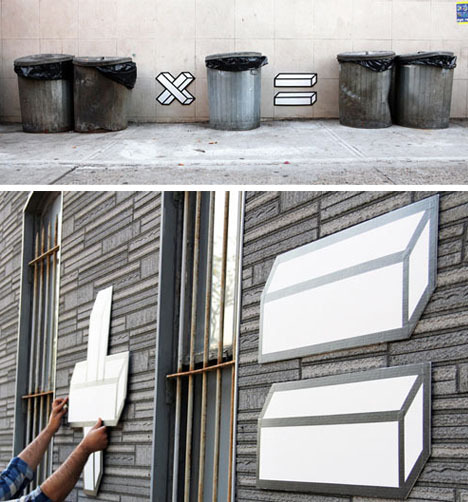 Simple black-outlined, white-filled, faux-three-dimensional shapes that render urban happenstance into something with a humorous sense of order. 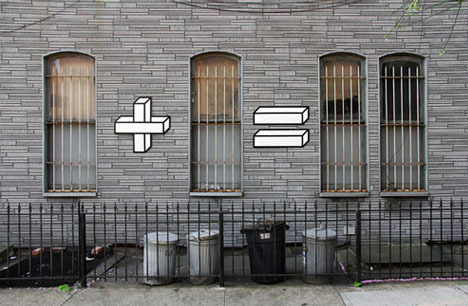 Dubbed Sum Times (itself a cute play on words) this latest street project by Aakash Nihalani skips the alpha and numeric and heads straight for the symbolic, turning everything from trash cans and dumpsters to windows and doors into educational equations. 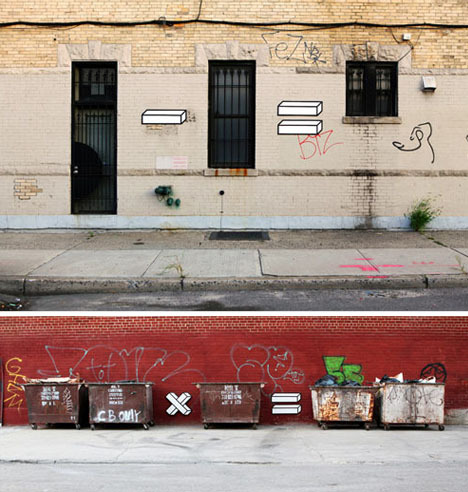 The basics of multiplication, divisions, addition and subtraction – literal object lessons that makes chaos more comprehensible, and might even teach school children a thing or two (including how to subvert their surroundings). Regular readers and fans may recognize this artist’s style from similarly-abstract street artwork including this urban tape art series and this set of shifting geometries, each of which also impose a kind of three-dimensional geometry on flat urban surfaces.